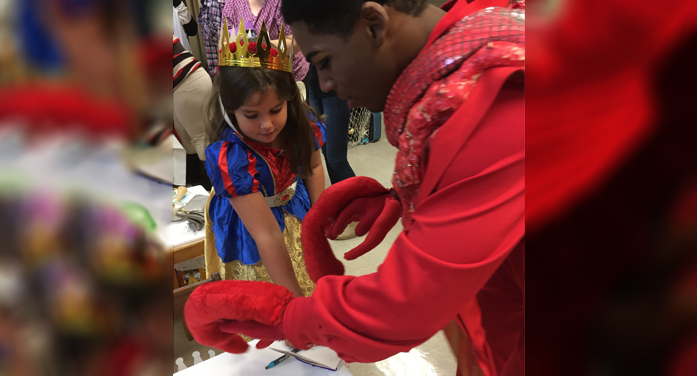 Members of the cast of The Mermaid, a musical that was in production at Strom Thurmond High School last week, entertained many of the young, elementary age girls at tea on Saturday. It was an exciting time for the children as they heard the cast perform and were able to get their autographs. And they had refreshments also note cone-or fish tail – cakes to her left). Here Triton is pictured with one of the young attendees.